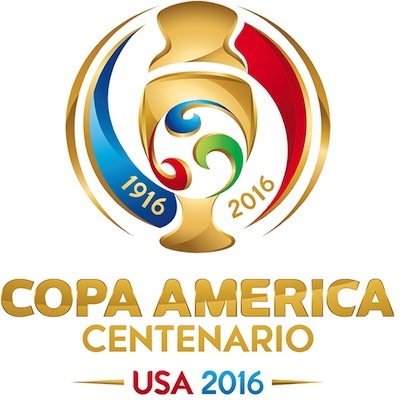 2016 Panini Copa America Centenario Soccer Stickers highlight the teams and players of the 2016 Centennial Copa America in an entry-level format. The simple sticker release follows the legacy of the Panini World Cup sticker phenomenon. A total of 452 stickers comprise the product with detailed coverage for each of the teams included. Featuring 64 pages, collectors can store their stickers in a custom album that is available separately. Although there are several box and display formats, most consist of seven-sticker packs and many include albums. There is also a five-pack blister. Celebrating the 100-year anniversary of the tournament, the Copa America is the oldest international soccer competition in the world. 16 teams will participate in 32 matches in June of 2016 to crown a winner and it will be the first time the event will occur outside of South America. With matches taking place in major cities across the United States, ten national teams will come from CONMEBOL, including Brazil and Argentina, and the remaining six teams from CONCACAF, including the United States and Mexico. 452 cards. Shop for complete base sets on eBay. Panini does a fantastic job with soccer sticker albums. Picked up this album and 15 sticker packs earlier today at the local Target. Some of the stickers have a dark circle on the back with a letter inside. Any idea what these letters indicate?